You might think that having the ability to fly makes bats highly mobile animals, but this is not necessarily the case. The shape of their wings is often a telling feature on this matter: species with long narrow wings are usually well adapted to fly fast across open spaces (like Noctule bats); other species with shorter and wider wings are not that well designed for fast flight over long distances, but rather for good maneuverability (like Brown long-eared bats), which comes in very handy when getting hold of your dinner depends on your ability to glean invertebrates off the vegetation in a cluttered woodland or even catch them while they fly. Roosting preferences are important too, and while some species are quite fussy about their requirements and only roost in trees, others have adapted to life in the city and quite happily use human-made structures (e.g. houses and bridges) as their homes. These differences in wing morphology, feeding and roosting ecology are linked to how species perceive their landscape and how sensitive they are to changes in their environments. Brown long-eared bat being released after trapping session in a woodland. Human activities – like urbanisation and agricultural expansion and intensification – often lead to the widespread destruction and degradation of semi-natural habitats. Take woodland as an example. This is one of the most important habitats for bats because it offers roosting and foraging opportunities for many species. But long-term deforestation has resulted in remaining woodland being highly fragmented and degraded, often immersed in what can be perceived as a hostile environment – such as intensively farmed fields or cities covered by concrete – by bats and many other wildlife species. These and other anthropogenic activities have resulted in many bat species suffering severe population declines over recent decades. Nice looking woodland, good foraging habitat for bats. For some bat species (like the Common Pipistrelle) some environmental changes caused by human activities might be less severe than for others. These are ubiquitous, highly mobile bats which can commute over long distances to get from their roost to their foraging sites every night; they roost mainly in buildings and catch their insect prey on the air (rather than off vegetation). These characteristics make them relatively well-adapted to live in cities and they are indeed one of the most common bat species found in urban areas in some parts of the world. They’re also able to make use of other non-woodland habitats like hedgerows and grasslands. This means that despite woodland being their preferred foraging habitat, the effects of woodland fragmentation on Common Pipistrelles are relatively weak. Brown long-eared bats on the other hand are much more strongly associated with woodland; they roost only in trees or in old buildings close to wooded areas, they have broad wings which means they’re slow, highly maneuverable flyers which glean invertebrates off vegetation and don’t travel long distances to their foraging sites. They’re also often reluctant to fly across open spaces, making them much more sensitive to woodland fragmentation. Common Pipistrelle caught during a trapping session in a woodland. Luckily, we humans have come to realise how dependent we (and many wildlife species) are on semi-natural habitats and are making efforts to restore them. 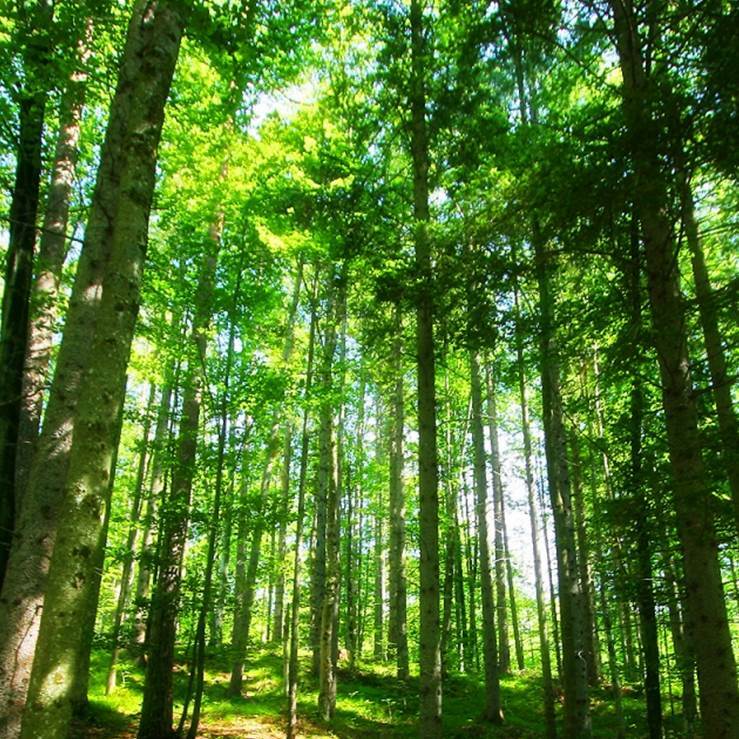 Woodland creation and management schemes (financial incentives provided by governments for farmers to increase the amount and quality of woodland on their land) are one promising mechanism used in many countries to reverse (or at least slow down) woodland loss and fragmentation. However, the benefits of these schemes are often hampered by a lack of evidence on where and how to best create and manage woodlands of high conservation value for biodiversity. This means that newly planted woodlands often provide limited resources for biodiversity and benefit mainly generalists and higher mobility species over woodland specialists and species with lower dispersal abilities, which have stricter requirements in terms of habitat quality and connectivity. This is certainly the case for moths, which happen to be the preferred food item for some bat species including Brown long-eared bats. We should be using our knowledge of bat ecology to inform conservation actions aimed at counteracting the negative impacts of habitat loss and fragmentation on biodiversity. 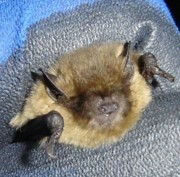 For example, we know that bats’ responses to the surrounding landscape depend on species mobility: for lower mobility species, local habitat characteristics are of outmost importance whereas for higher mobility species the landscape context is crucial (although they do care about local habitat quality too and can in fact be quite fussy about it, particularly female bats). 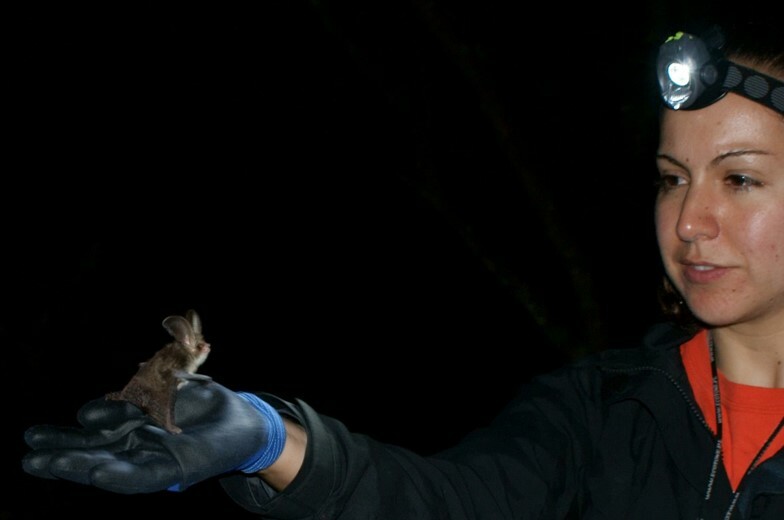 This means that actions to enhance bat populations need to target local habitat quality (for instance by managing woodlands to increase the amount of understorey vegetation so important for gleaning species like Brown long-eared bats) and also take into account the surrounding landscape. Increasing habitat connectivity in the landscape (for example by creating wooded linear corridors or smaller ‘stepping stone’ patches to allow animals to get from one woodland patch to another) seems particularly important for lower mobility species, often reluctant to fly across large open spaces. More ubiquitous and higher mobility species might not care so much about connectivity as they’re able to fly longer distances across a variety of habitats; they are likely to find suitable foraging sites as long as they have a sufficient amount of woodland in the landscape. 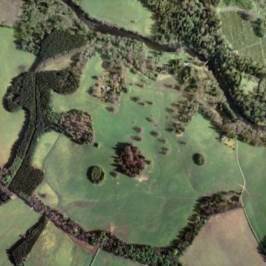 Nice looking agricultural landscape with well-connected woodlands. But what about other creatures like beetles and voles or even lichens and mosses whose dispersal strategies mean they move much slower and across smaller distances than flying bats? It turns out that although local habitat quality is of paramount importance for many of them, they too are influenced by their surrounding landscape. So whether it’s for highly-mobile animals such as bats or for slower-moving ground-dwelling beetles, local habitat quality is not all that matters, the landscape is important too. But it is the relative importance of these two factors that is often poorly understood, and crucial to help us prioritise between local and landscape-scale actions to conserve biodiversity. We should learn from existing ecological studies but also use novel approaches to inform large-scale conservation activities and create better habitats for wildlife across the landscape. A modified version of this article has been published in The Conversation.